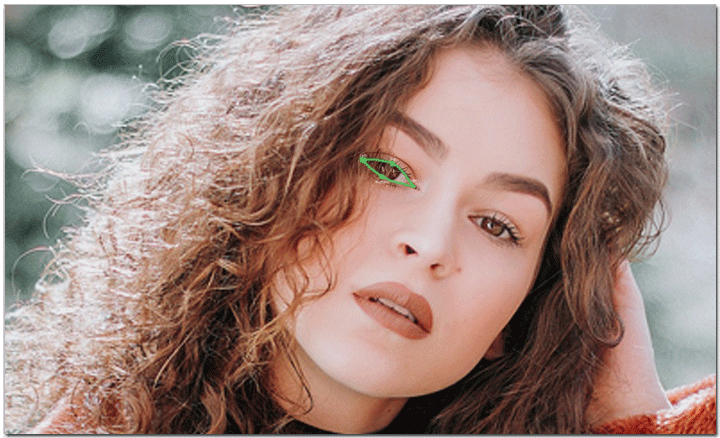 How to Change Eye Color in Pictures? It’s pretty easy with PhotoWorks! Born with a bland eye color? Want to try out a new trendy look without wearing contact lenses? Or just need to make the eyes shine on your photos? If you’re shouting “Yes!” to any of these questions just like me, then continue reading. It’s said that eyes are windows to the soul. True: portrait shots with stunning brilliant eyes can captivate us even more than breathtaking landscapes. 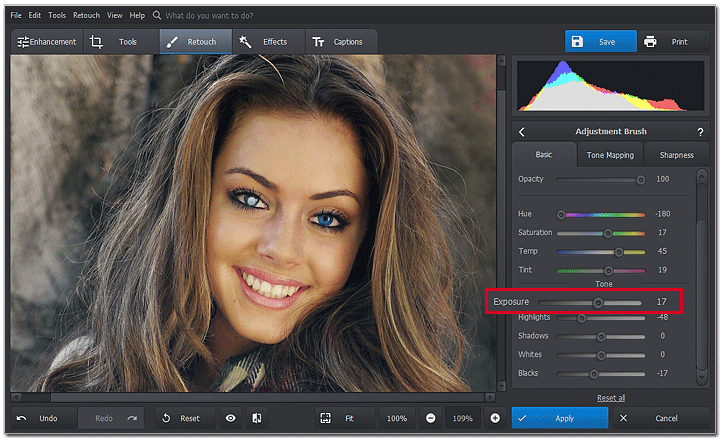 So how to change the eye color in pictures and get that immersive feeling in your images? In this guide, I’ve prepared 4 simple ways to do that using different programs. Here you will find a method with a user-friendly image editor made especially for newbies, a way for more skilled users involving Photoshop and even a way for mobile applications, if you need to edit the pics on the go. Before we start, let me dwell a bit on another hot topic. 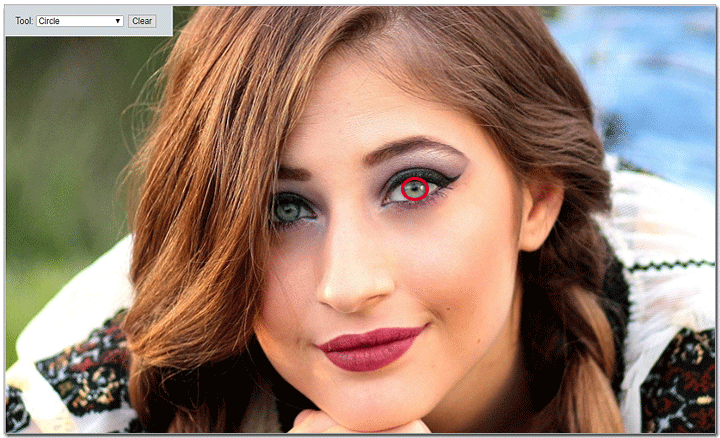 Often, when you take portraits, you get an extremely annoying thing called devil’s eyes or simply - red eyes. You don’t have to play with colors to fix it, just check out our fresh and extremely detailed guide on how to remove red eyes from photos. All you need to do is pick a tool, mark the pupils and - done! Not very fond of spending time on tutorials and climbing on a steep learning curve? Me neither. That’s why when it comes to simple editing I prefer working with some user-friendly image editors instead of famous, top-rated but too complex software. One of such easy-to-use programs is PhotoWorks. It may look like a one-trick tool, but don’t be fooled: it’s jam-packed with various features. 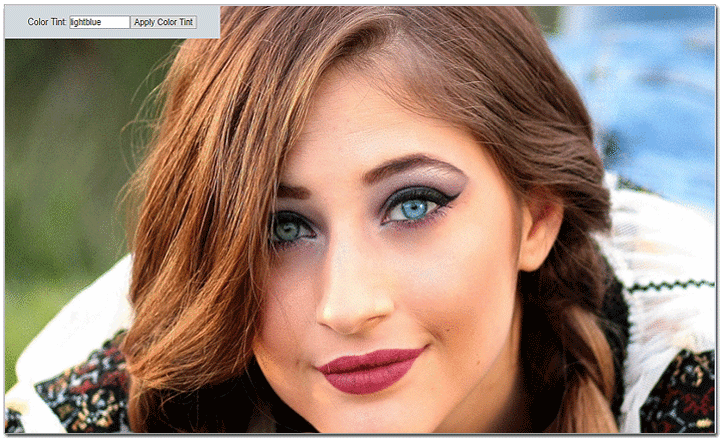 PhotoWorks allows you to not only try out different colored eyes but also make a quick retouch, fix composition issues and beautify your pic with one-click effects. 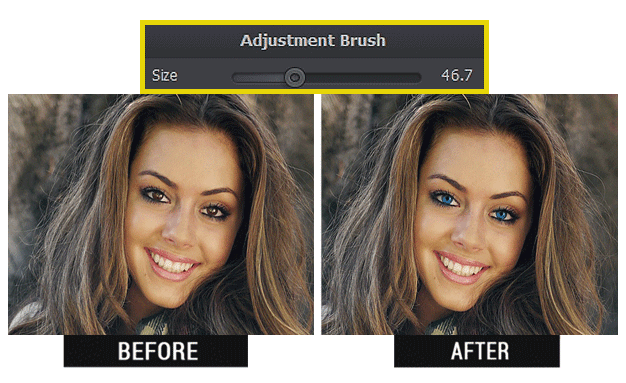 Go to Retouch and pick Adjustment Brush from the tool list. Set the brush size so it's about the size of the iris and mark the areas you want to recolor. The software will place a selection over them. Now experiment with colors by dragging the Hue slider. If you want the color to pop out, increase Saturation as well. Repeat these actions for the other eye. The selections have separate settings, so feel free to experiment! To add a pinch of stardust, work with Tone. For instance, increase Exposure to brighten up the new color. The result we got looks like a professional shot. Take a closer look and you may notice that this image suffers from a very common problem - bad cropping. The stunning eyes may have the viewer drop dead in awe but it’s no use if he won’t notice them because of the composition mistakes. To eliminate that problem as well and learn all the cropping tricks, read our guide on how to crop portraits. I bet almost everyone who is at least a bit experienced in photo editing heard about the Adobe products and, particularly, Photoshop. 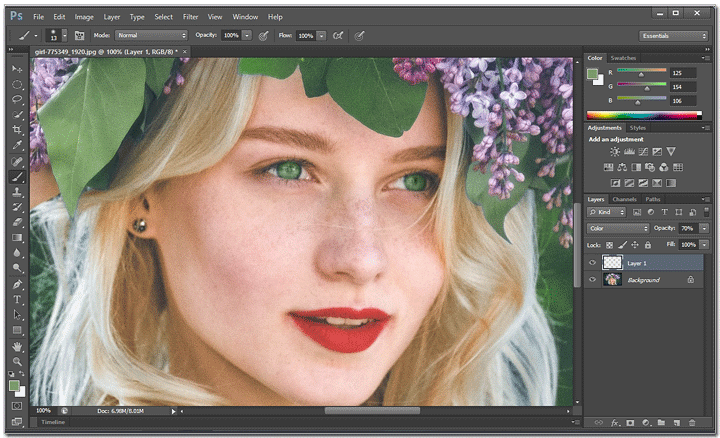 It’s one of the most powerful image editors and it lets you create almost any design. Large community, constant updates, tons of tutorials and presets - anything you need. A little downside here is a monthly subscription which can be costly depending on the package. Choose the Elliptical Marquee Tool and select the first eye. Now hold the Shift key on your keyboard and select the other eye. Go to Layer > Add New Layer or simply press Ctrl+Shift+N to create a new layer. Set its mode to Color. Pick a color and paint over the selection with a regular brush. 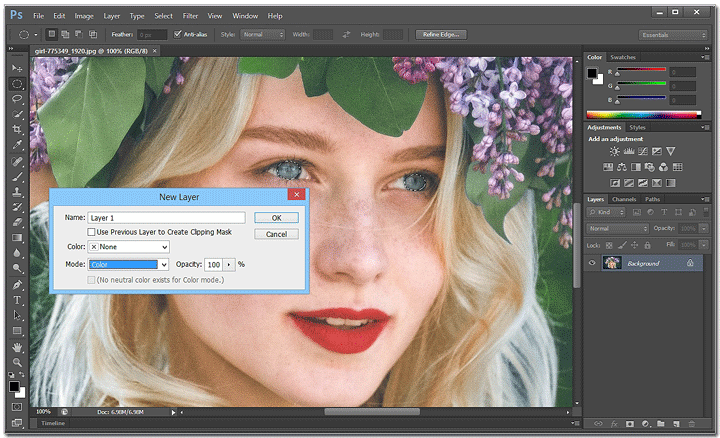 To adjust the color saturation, increase or decrease the layer opacity. The result looks rather natural, but let’s be honest: even a simple task will require some basic knowledge on layers, modes and tools. So if you are a beginner or not really keen on reading a series of tutorials, try a different way from our guide. If you don’t want to waste time on downloading or installing any programs, better to turn to some online services. 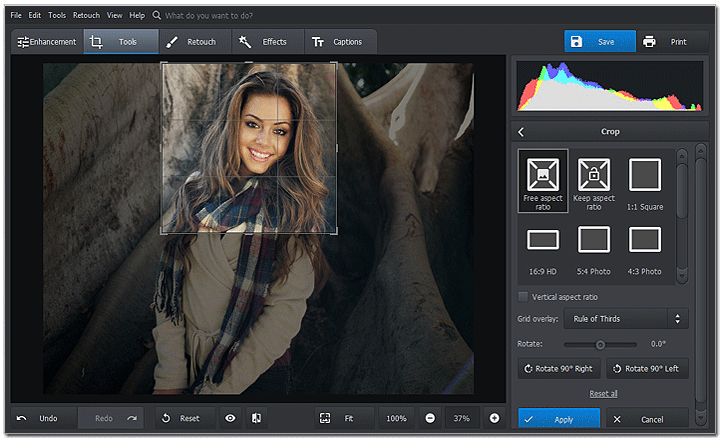 They will allow you to edit your photos on the go, and will work even on mobile phones running on both Android and iOS. But there are some downsides. For instance, such programs are usually a one-trick: they can fix only one or two issues on your photos. Next, most of them are web based and require a stable Internet connection. Not good if you’re hooked to a public Wi-Fi. If you open your browser, you will see that there are many online enhancers like LunaPic, Picmonkey or Ribbet. All of them have their own advantages and all worth the try. Upload your image and then click Crop Image. Select the Round Selection tool and mark the iris. Click Color Tint and type in the color you want to get. In my case, it’s light blue. Click Apply Color Tint and, if you’re satisfied with the result, repeat the steps for the other eye. During and after applying the color, there is no possibility to tweak anything. So this way is suitable for the cases when you need to edit the eyes really fast or want to get a very basic color. If you need to change the eye color but don’t have a computer at hand, don’t be quick to call the day wasted. Your mobile phone will do just fine for simple image editing. It’s fast, somewhat convenient and easy to do. However, just like online services, this way is not very reliable. For instance, your phone may run out of charge just in the middle of work and all the progress will be lost. What’s more, many free apps have tons of ads you have to watch in between actions. There are many apps for changing eye color like Eye Color Studio, Adobe Photoshop Fix, MakeUp by Modiface, Eye Color Changer and others. I suggest opening the app market, looking through the features and comments to see which of those programs suits you the most. Open the application on your phone and upload your photo. Select the irises. Now define the eye shape by dragging the selections. Now pick the color and iris pattern you like. You can control its opacity and choose the blending mode. When you’re done, hit Save. This method is very simple and allows you to change the eye color even while sitting in a cafe and taking photos with your friends. Still, if you looking for more advanced editing, the best way is to grab your computer and work with some desktop image editor. Well, that’s all! These 4 ways are all different and I bet anyone will find a method suitable for this or that case. Now go and bring some magic to your eyes! About the author: Matt Cooper is a professional photographer who specializes in taking portrait shots.